Wind, rain or shine, this synthetic dog lead is ideal whatever the weather. 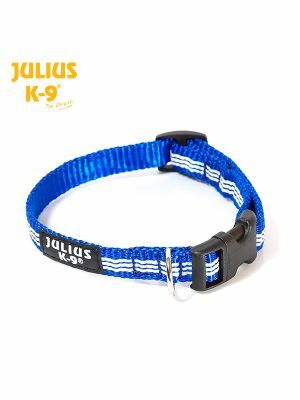 It is comfortable to use over long periods and the heavy duty steel carabiner is sturdy and secure, so you can be confident to remain in control of your dog at all times. There are also fluorescent threads woven into the fabric which helps increase your visibility at night. The lead is ideal for sports, high activity training or regular walks.